Breakfast: In the recent years, there’s a coffee trend that sprouted throughout Cape Town. From individual Breakfast places around the corner to premium coffee bean suppliers like Truth coffee, breakfast is the meal that you must have while visiting Cape Town. 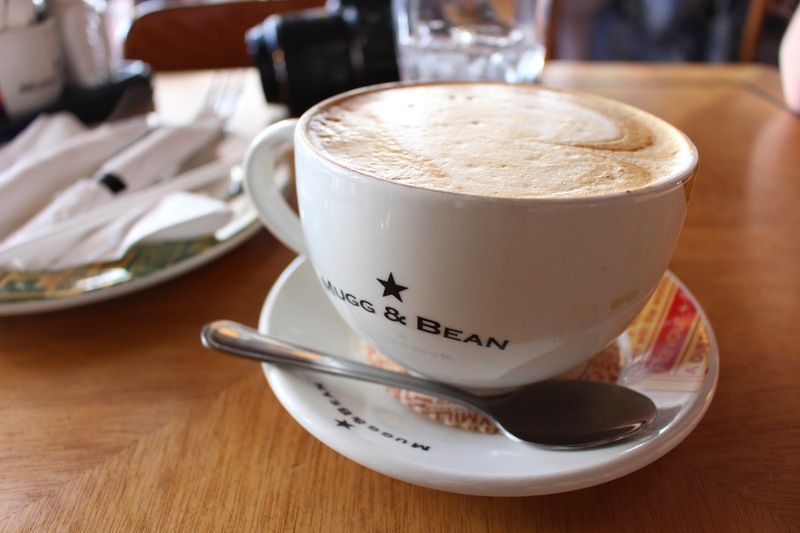 Mugg & Bean is a well-established chain store that serves all meals in an entire day but is famous for their coffee & breakfast. They have omelets, eggs benedict, croissants and so on. 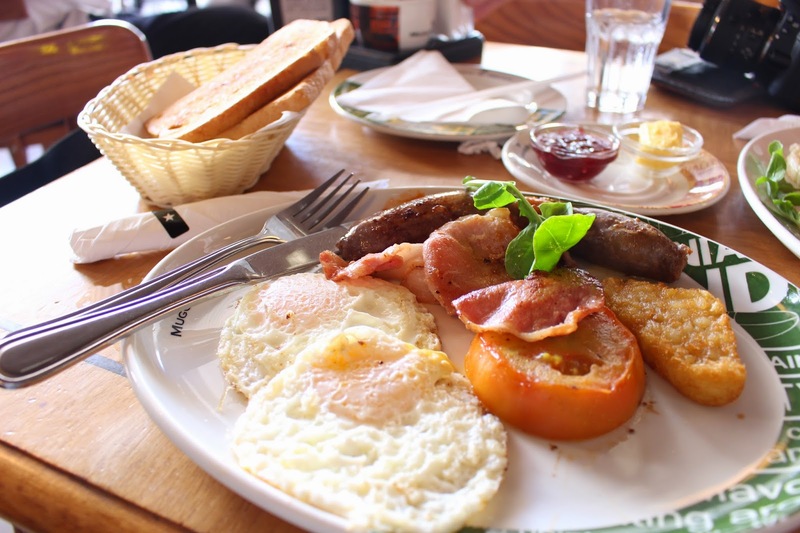 But I opt for the classic South African Farm Breakfast: two fried eggs, back bacon, boerewars (beef sausage), hashbrown, grilled tomato, and a slice of toast. What a fantastic way to start the day. I was already in love with Biltong, but South Africa really does know how to make meat taste the best they can. It’s all about the spices. Getting a Prepaid 3G Sim: Wifi really isn’t existent in South Africa. All the free ones require log-ins or make you pay after just 20mb of usage, and it is incredibly slow. But, getting a prepaid sim card for data only is easy and cheap. All you need to do is visit the MTN store (there’s one in the V&A Waterfront Mall), bring your passport, and you can purchase a sim in a matter of minutes. For a span of around 10 days, I purchased 2GB (around $100 rand) which was enough for check on Facebook occasionally, using Google maps, and uploading a few photos a day. If you will be using Google Maps intensively, calling uber, and uploading more content I’d suggest going with 4GB. Camera Lens holder: this was the next item I hunted down while I was still at the waterfront. Most DSLRs come with lens caps that pop right off, which also means you can lose them really easily. With tourist areas so crowded, and the scenery so beautiful that you’ll forget to cap your camera lens, you’ll end up with a sad scratched camera. Camera shops in Cape Town sell this stick on lens holder that is really cheap but very useful. You just wrap the elastic band around the lens itself and then stick the sticker on the cap. My lens has popped off numerous times, but I still have it! So after taking care of some errands, if you might say, it’s off to being a tourist. 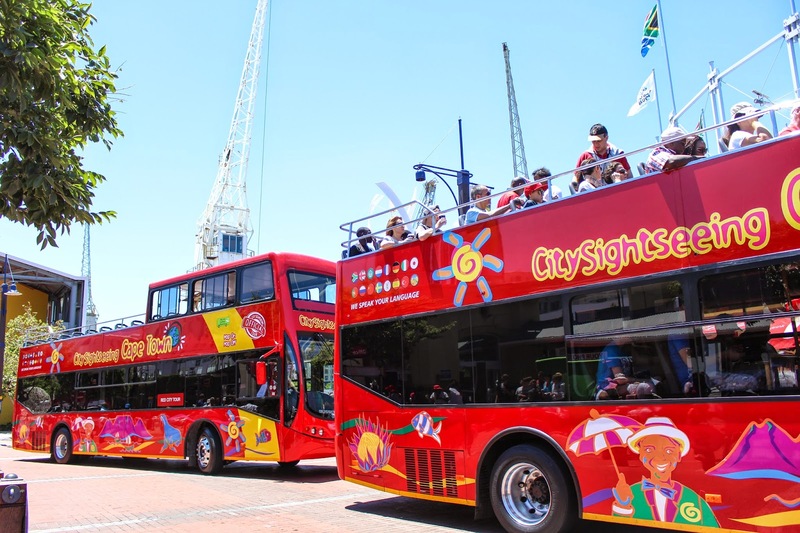 The Hop on – Hop off tour bus has 2 places you can purchase tickets, one in the CBD and the other at the waterfront near the aquarium. 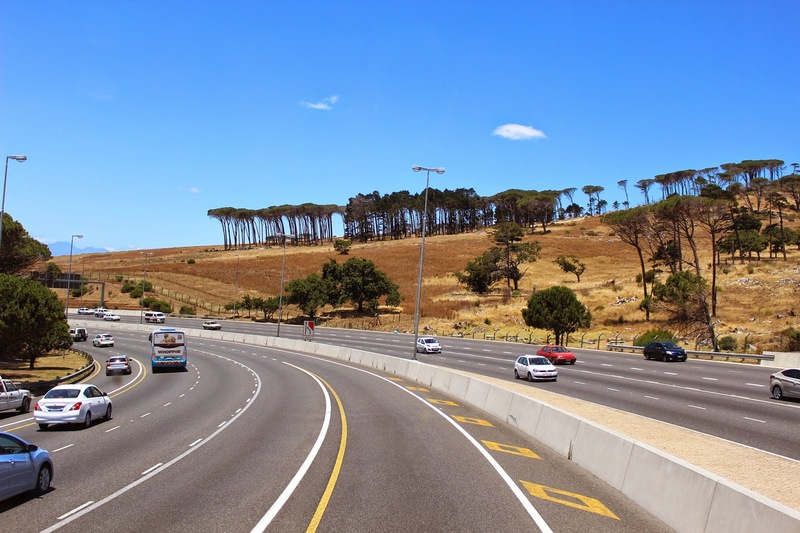 For a 1 day tour it’s just around $150 Rand per person. There is a Red City tour and a Blue Peninsula tour. I highly recommend the Blue peninsula tour since it covers town but goes out to all the actual fun places to see. 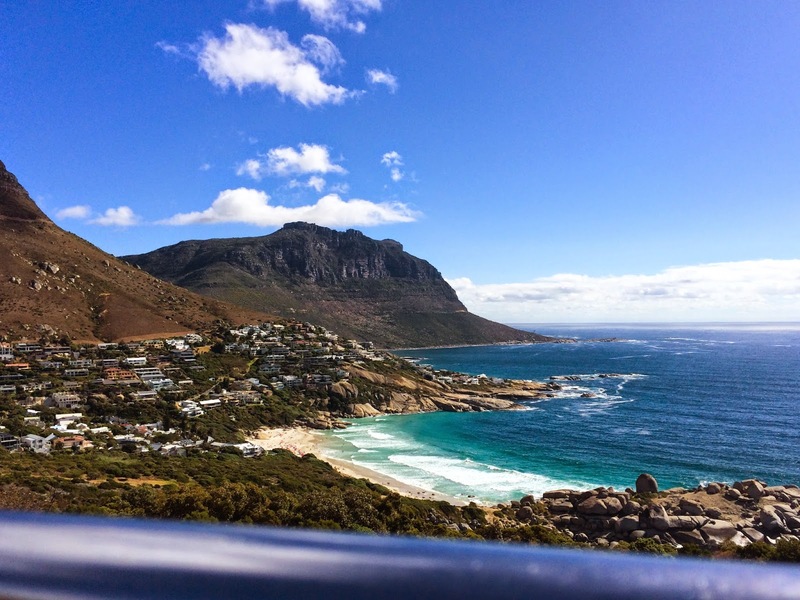 The stops they stop at are actually pretty amazing, including Long Street “Party street”, Mount Nelson Hotel (famous for their afternoon tea), botanic gardens, 5 wineries, World of Birds (3000 birds/400 species and mammals), Township, and 3 beaches (Hout Bay, Camps Bay, Clifton). - Mount Nelson Hotel: BOOK IN ADVANCE. Let me repeat that, BOOK IN ADVANCE. Their afternoon tea is very famous, and when we tried to book on December 21st, it was booked out till January 5th! 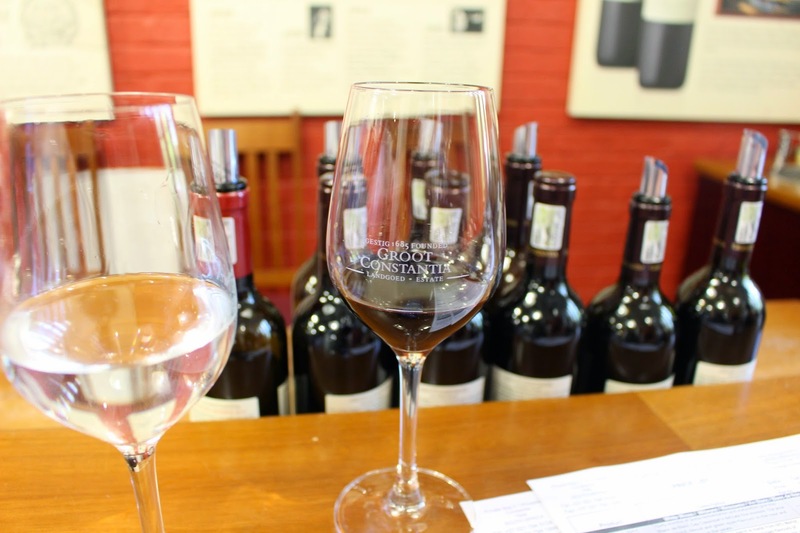 - Groot Constantia Winery: this is part of the free purple line wine tour and one of the oldest wineries in South Africa. 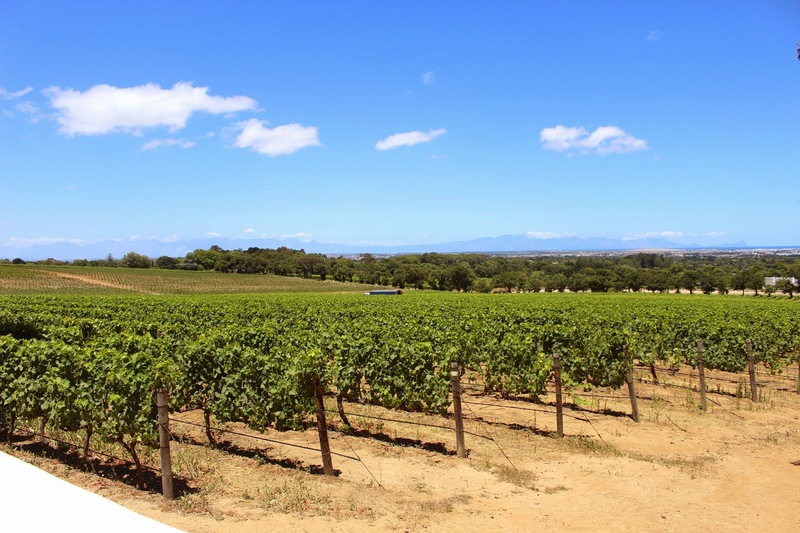 Entrance to the winery is free, but you can get 5 wine tasting tokens for just $50 Rand. There are 5 white wines and 6 red wines you can taste. If you’re not traveling alone, best to have one person try all the white and the other try all the red so you can share and try all of it. I highly recommend this strawberry pink colored white wine “Blanc de Noir” that tastes amazing; it’s almost like a Rosé. 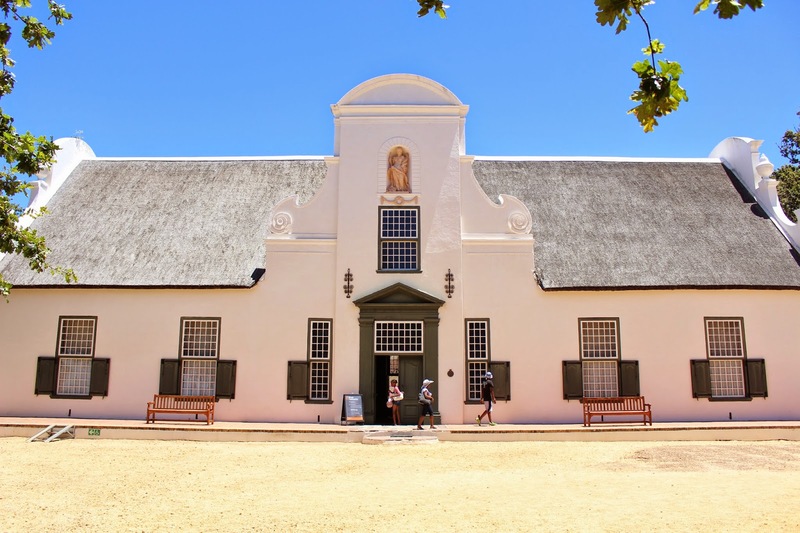 Besides wine tasting there isn’t much to do except for browsing their small museum and maybe enjoying a meal there. 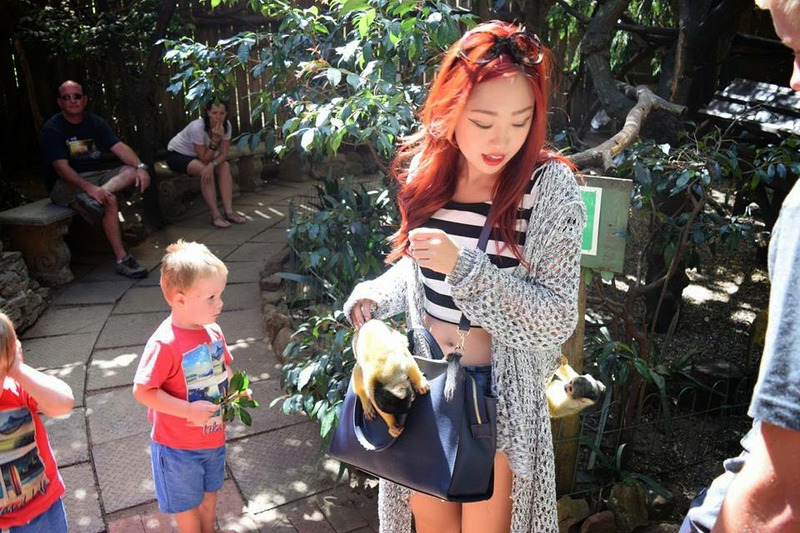 - World of Birds & Monkey Park : $85 Rand to enter, if you were on the hop on – hop off bus I believe it’s $70 Rand per person. 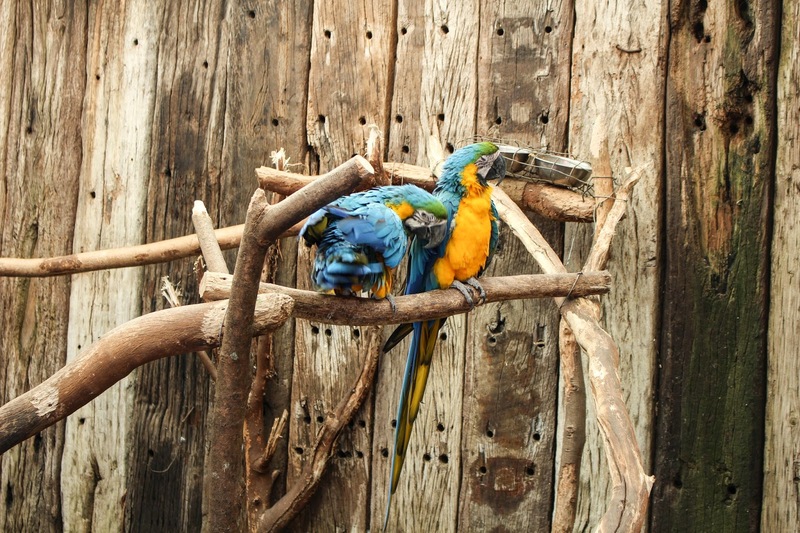 They have 400 species and 3,000 animals in the enclosure. 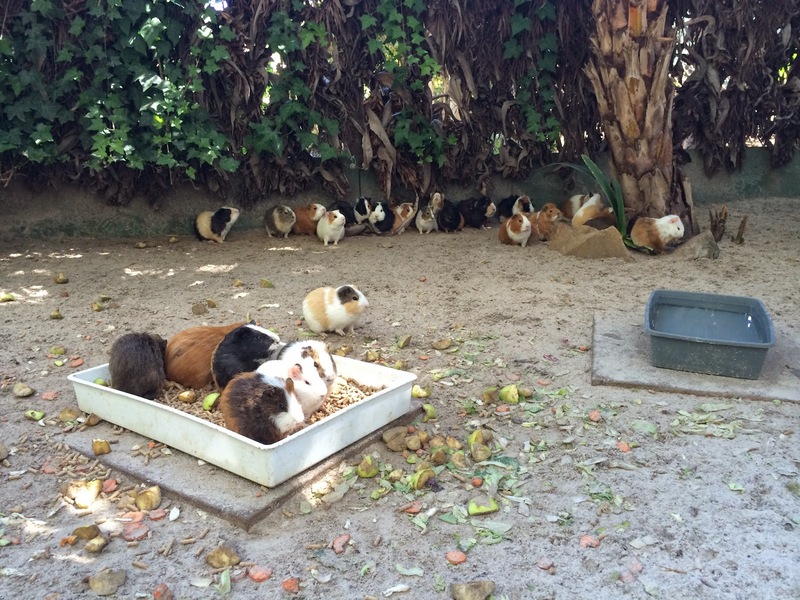 Mainly they have birds but they also have mammals like guinea pigs, porcupines, monkeys, and raccoons. There’s an area where you can interact and pet these tiny spider monkeys. They are absolutely adorable and their hands and feet are so soft! The park is separated into 27 different small enclosures that probably take around 5-10 minutes each, so you could easily spend 1 hour lost inside this maze of bird jungle. The great thing is, all of the animals here were not captured, but instead other people who found them and brought them here because they were hurt and was in need of care. So it is a real sanctuary and a safe home for these animals. - Townships: There’s no nice way of describing a township, so to be direct it’s towns where poor people live in small houses made of sheets of metal. I didn’t actually go to one because it is very dangerous (A taxi driver said his friend dropped someone off in a township and his car & money got jacked, then he was beaten up and dumped at the side of the street.) You can refer to Wikipedia about more information if you’re interested in reading more about the history of how it developed and the conditions of living there. 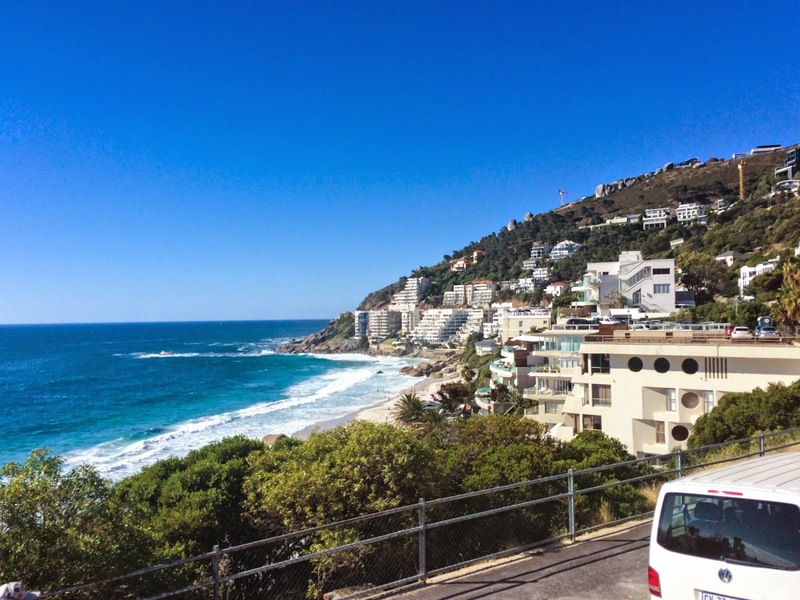 - Hout Bay, Camps Bay, Clifton, and Seapoint is the west coastal line of beaches (South to North) that you drive through when you take the peninsula city tour. They are all different in their own ways. Seapoint has a cool mini golf place you can go to but there isn’t much beach area. Clifton is the posh area where the higher income white people live and the beach is the most pleasant because it’s less crowded. 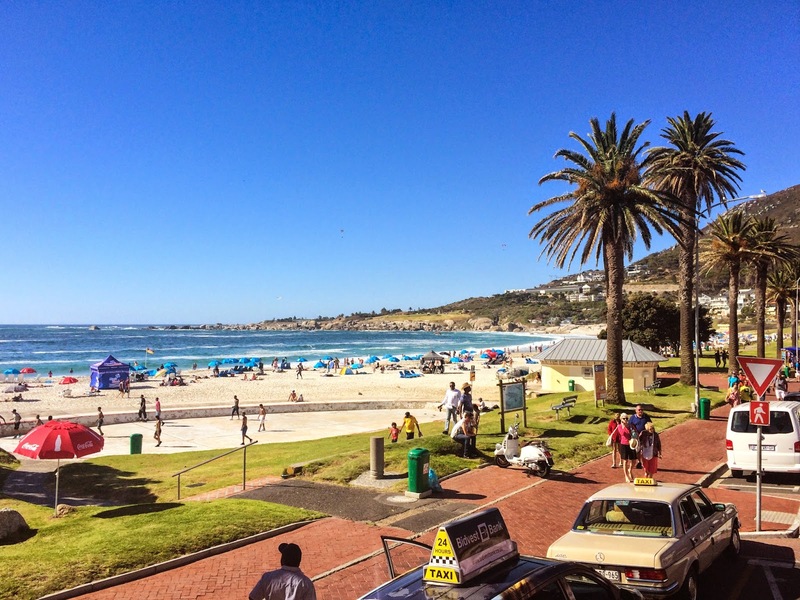 Camps Bay is pretty touristy and has a lot of hotels built by the beach side but it can get pretty crowded (and trashed) on a nice sunny day. 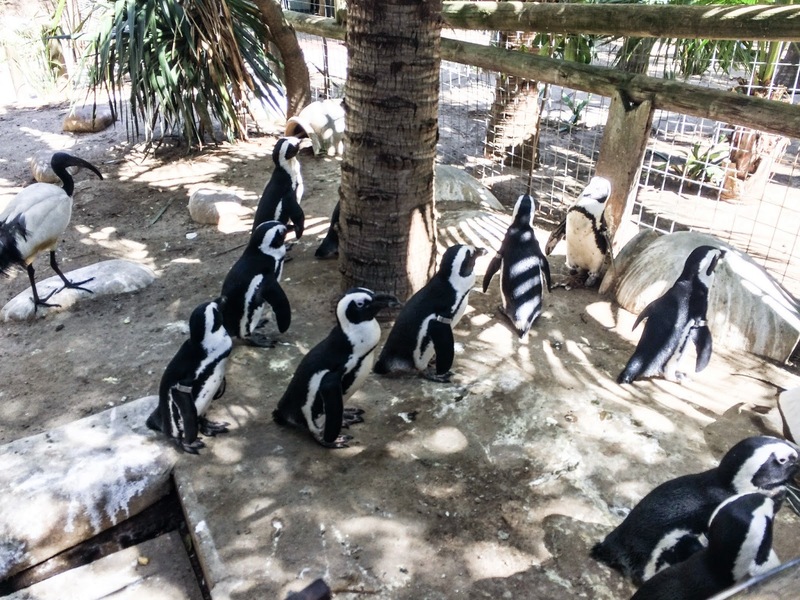 Hout Bay is a smaller beach area a bit further south and has a market place you can shop at. After a long day running around being a tourist, we met up with some friends to enjoy some steak and racks of ribs. We then head off to this really cool bar called Cape to Cuba. The entire floor of this place was covered in sand, and they had Hawaiian like decorations with surfboards and coconut trees all over the place. They also had hookah you can smoke and a little restaurant in the back. It was the perfect place for a chilled night out. Just as I was about to fall asleep from jetlag, I see in the restaurant at the back end this guy with dreadlocks. Guess who I found! It was Louis from “Fun for Louis”. 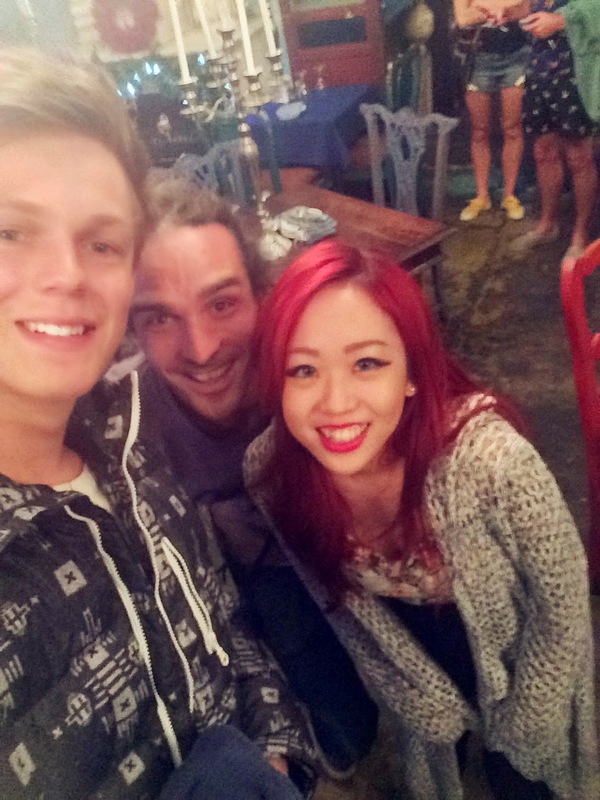 He’s a travel vlogger/YouTuber that has over 1 million subscribers. 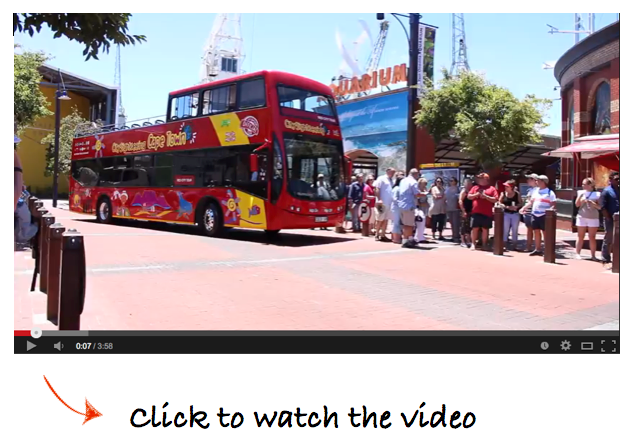 I know him because prior to my trip here I looked up Cape Town videos and saw his vlogs. He was really nice when I went over and said hi. And then I realized I also ran into Casper Lee. Apparently Louis hadn’t caught up with Casper Lee in a long while so they were meeting up. Two birds in one stone! I’ve never ran into a YouTuber in my life and now I’ve ran into 2. And in case you don’t know, Casper has 3.56 million subscribers. Anyway, enough of being star struck, (okay not really). Day 3 we’ll be going to “Green Market Square” which is an outdoor market place selling traditional South African trinkets and goods. Followed by a visit to the biggest mall in Cape Town – Canal Walk.